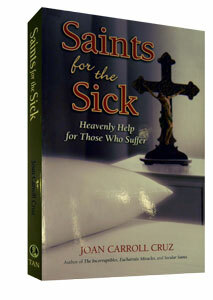 Heavenly Help for those Who Suffer In this intriguing new book, bestselling author Joan Carroll Cruz presents 76 mini-biographies highlighting saintly Catholics who faced intense, long-term suffering and disability with sweetness, peace and love for Jesus Christ. These stories show the triumph of God s grace where the world finds only ugliness and approaching death. 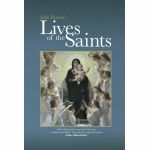 They describe some lives so recent that the saint s family members are still living today, with many causes for canonization being currently active in Rome. Included here are Bl. Zelie Martin, who died of breast cancer; 14-year-old Bl. Isidore Bakanja, the Scapular martyr from Africa; the famous leper priest, St. Damien of Molokai; Venerable Matthew Talbot, the alcoholic; St. Germaine Cousin, rejected because of a birth defect; and little Nennolina Meo, who died from cancer of the bone, lungs and brain. Also included are persons who suffered from paralysis, amputation, deformities, breathing problems, mental illnesses, kidney ailments, intestinal disorders, and more as well as from medical treatment itself. Particularly remarkable are the children who suffered, including young people ages 15, 13, 12, 11 and even 6 ! For these there was no grasping at the remnants of earthly life but rather an eager anticipation of Heaven. 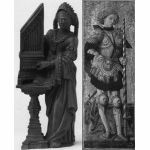 These children showed unwavering resolve to suffer for the love of God and the conversion of sinners and they endeavored to console their parents. SAINTS FOR THE SICK is a book that reinforces our Catholic faith and gives renewed hope to those who are dealing with bodily struggles. 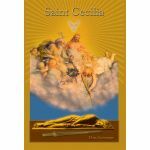 Moreover, it puts us in touch with heavenly intercessors who will gladly help us for they know exactly what we are going through on earth. Includes an Index of Ailments.